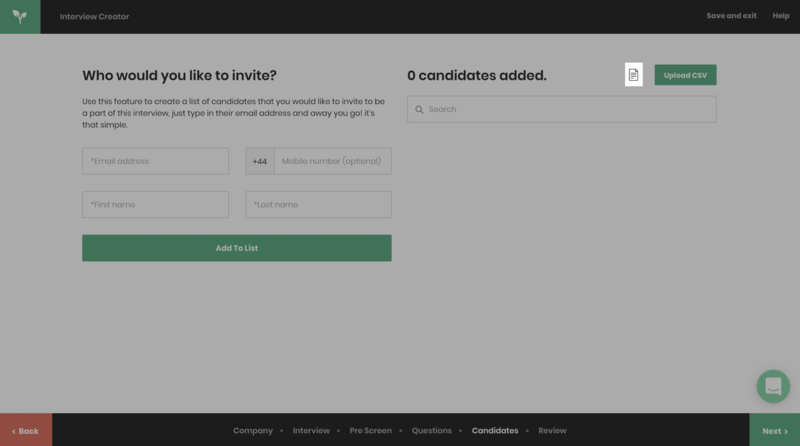 To mass invite candidates to record their interview, you will need to be on the candidate section of the interview creator. Once you've reached the "CANDIDATES" section of the interview creator you will need to download our CSV template by clicking the icon shown below. When you've clicked the icon our CSV template will automatically download and you will see it at the bottom of your browser. Double-click the file to open it. 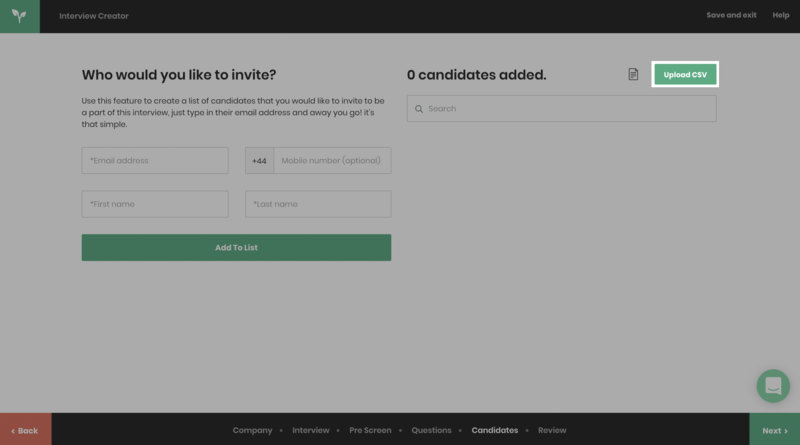 When you open the CSV template simply enter the candidate's first names, last names and email addresses. DON'T CHANGE THE PRESET HEADERS AND REMEMBER TO SAVE THE FILE AS A .CSV. 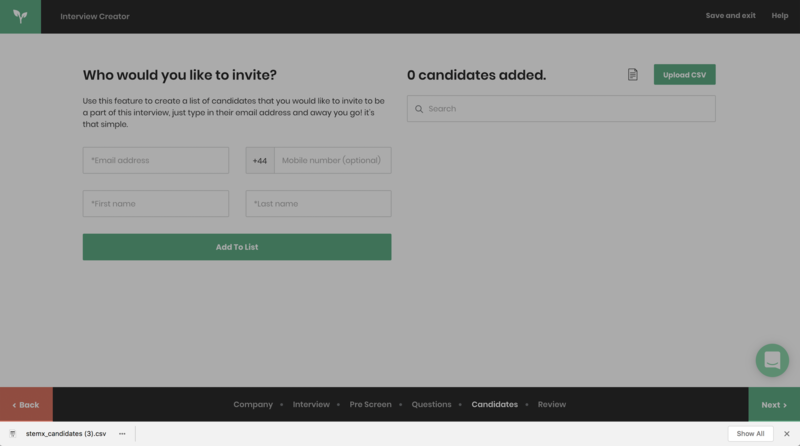 To upload your list of candidates click "UPLOAD CSV" and you will then see a confirmation underneath.